Social media has forced advertising companies and brands to push the boundaries and produce interesting ad campaigns to keep their brands relevant. We have had some hits and we have had a few misses (Remember, they call me Becky). In the age of digital, brands are constantly putting their best hashtags forward, encouraging and responding to conversations and also sometimes becoming a bit too problematic. Here are our picks for the Top Five ad campaigns we’ve found online. Puma’s #RunTheStreets campaign gathered some of SA’s popular hip hop artists to convey a message about people of colour contributing towards the lifestyle of the city, the township and SA. Similar to the Edgar’s campaign (see below), it runs with themes about how we, as people of colour, create culture across different spaces in SA. It also included tropes from hip hop culture about ambition, hustling and creativity. Why we loved it: The ad brings across a message about the interactive nature of the relationship between people and spaces. It shows how the city, for example, can define the people, but also about how people make the city what it is. At the heart of the ad is the idea that people of colour are the main figures of this interaction. Why it was a miss: The city can become a really dangerous space to glorify ambition and drive once you consider the inequalities that exist in this space alone. The Nasty C’s and Gigi Lamayne’s (both featured in the advert) are there as examples of what ambition can do, but we know how these figures can also just be exceptions in a country where the majority can be ambitious but still poor. Edgars called on musician and entertainer Sho Madjozi to be the face of a campaign which was all about embracing the different identities in South Africa. The ad campaign is set against the backdrop of the cityscape. It presents varying and unique identities and cultural groups dressed in bright and vivid colours to mark their importance within the city. Why it was a hit: The ad conveys how much black people contribute towards trends, entertainment and culture in South Africa. We see this through the presence of pantsula dancers, young black girls playing hand-clapping games and the gwara-gwara moves. It also acknowledges South Africans as globalised figures through the presence of heavy metal rockers, the black American-styled choir and the Fulani inspired braids rocked by Madjozi in the ad. Why it was a miss: It seemed to be very reminiscent of the rainbow-nation kind of energy that emerged during the 90’s in South Africa. We see a carefree white woman taking videos amongst pantsula dancers, a white reporter with a mic within the dancing crowd and people of different classes and backgrounds merging together with a conflict-free attitude. While this is all really pretty, we know it’s not a reality. On top of that, while the ad campaign was able to depict the output of cultural production by black people in South Africa, the ending implied a complacence with how the economic benefits are often received by white people. Sho Madjozi’s knowing smirk towards the audience was part of a joke that we didn’t really wanna be in on. No. 3 Standard Bank’s #ThisIsMe Standard Bank released an ad for Women’s Day under the hashtag #ThisIsMe. The ad sought to deconstruct many of the rigid rules and constraints that limit women to being ‘ladylike’, cis-gender, fragile or dependent, while also breaking down the standards of what it means to be ‘beautiful’. Why it was a hit: #ThisIsMe ultimately humanised women’s experiences and identities by showing viewers the complexity of being a woman – that womanhood doesn’t need to be confined to the narrow ways in which we’ve been socialised as women altogether and as women who are disabled, from different classes, backgrounds, races, sexes, etc. Last year, under the hashtags #InternationalWomensDay and #HoldMyBeer, Castle Lite debuted an ad campaign debunking the myths and stigmas surrounding women who drink beer. We all know how men are often made to be the main subjects in advertisements, while women are often sexualised and objectified. In the #HoldMyBeer campaign, Castle Lite took a self-reflective turn by speaking back to the negative ways in which they presented women in ads. Why it was a hit: The ad really shows how media can play a big role in creating myths and stereotypes about women or any other social group. #HoldMyBeer was initially a response to the latter hashtag going viral on Twitter. Women were already tweeting about how they too drink beer, and were responding to men who were demeaning women who do. Castle Lite’s #HoldMyBeer took a lead in showing us that big brands can and should be self-critical and how they can make changes by breaking played-out traditions. Our number one definitely has to be Gillette’s #TheBestMenCanBe. Gillette recently released an ad about how men can do better by themselves and women by playing a part in rectifying toxic masculinity. It showed how toxic behaviour by men has been normalised through sayings like “boys will be boys” and by men encouraging and lauding bad behaviour amongst each other. Why it was a hit: As a brand whose consumers are men, addressing misogyny and sexism is something that brands similar to Gillette should be doing. 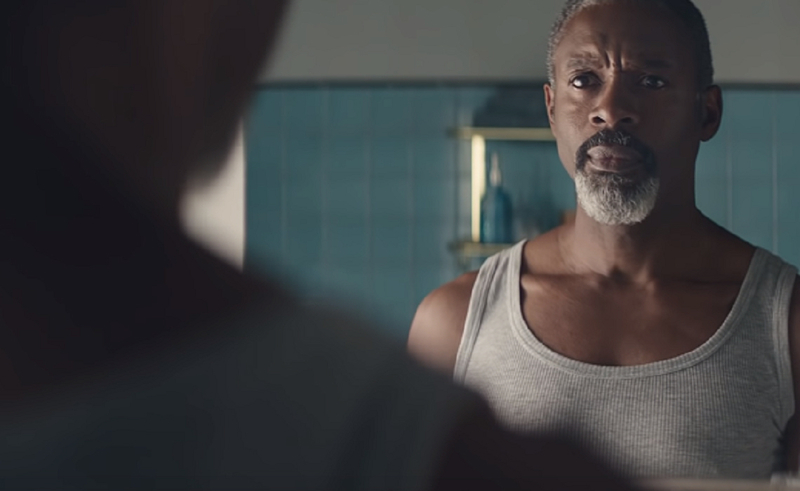 Gillette’s campaign presents itself as self-reflective by critiquing its own slogan and asking what it is “the best [a] man can be”. It’s certainly not common for a brand to address their customer base in this way and taking a stand against toxic masculinity has already got Gillette some backlash from in the US. We, on the other hand, stan for any ad campaign that’s not only just trying to thoughtlessly sell us stuff, but also makes an effort to be conscious of societal issues and the impact that advertising and media has in society. Did we include your favourite ads? Tell us in the comments.